Sister-ships: Apollo,Viking I, Diana, Viking 3, Viking 4, Azteca, Coromuel, Puerto Vallarta. October 5th 1973: Keel laid. July 5th 1974: Delivered to Ab Sally, Mariehamn, Finland. 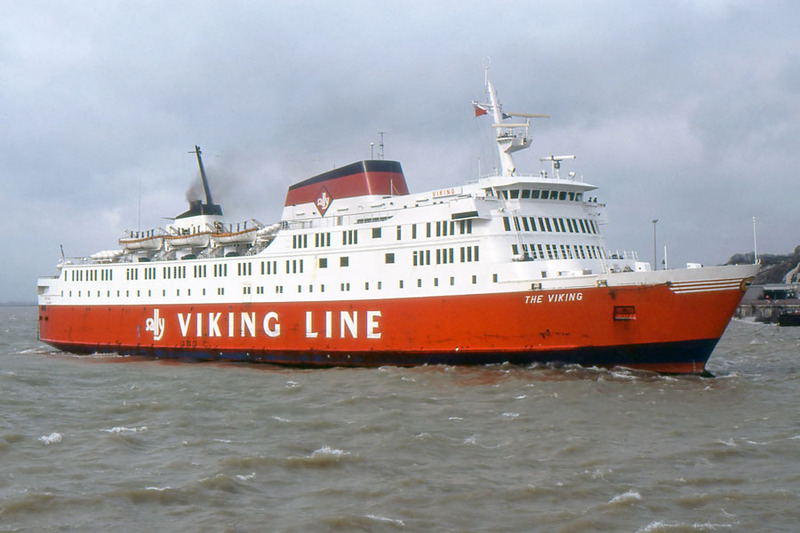 July 9th 1974: Christened and introduced by Viking Line between Helsinki – Stockholm. 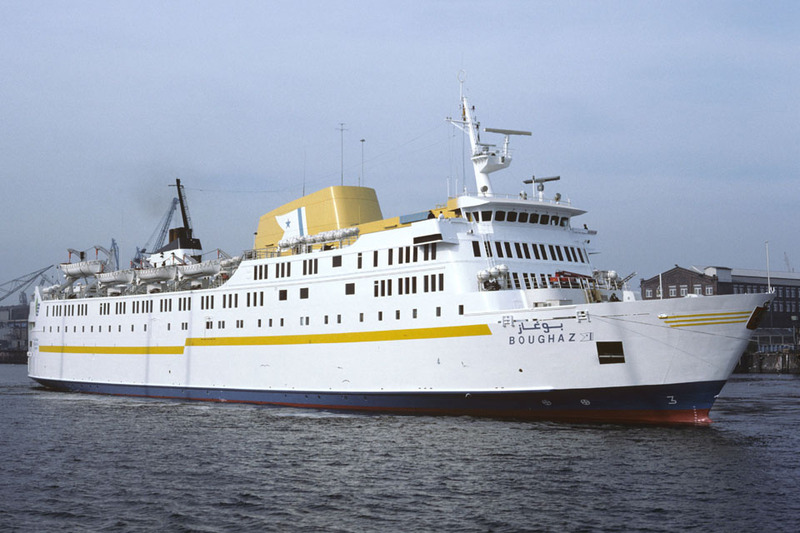 June 1st 1980: Commenced service between Åbo – Mariehamn – Stockholm. 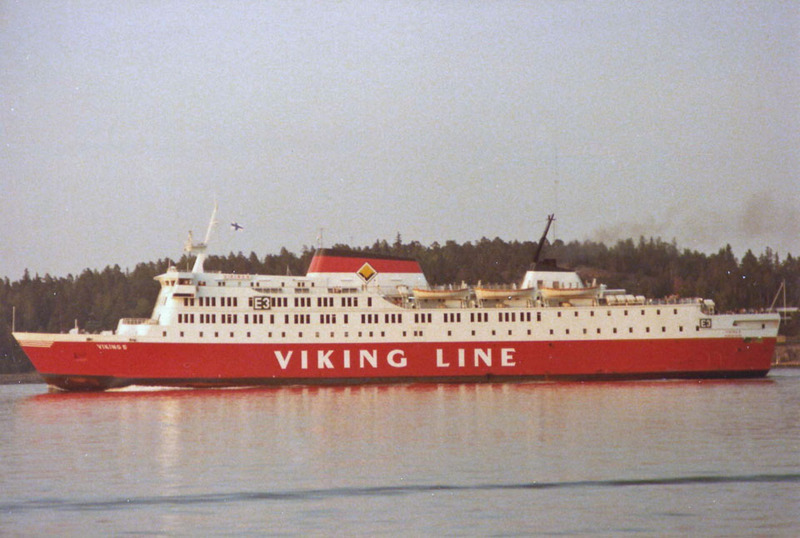 July 1980: Operated between Nådendal – Mariehamn – Kapellskär. 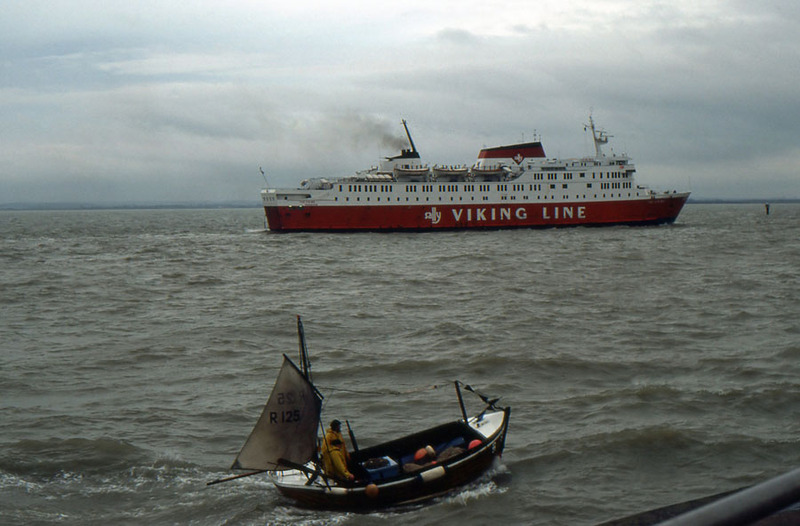 May 5th 1981: Final day in service for Viking Line. 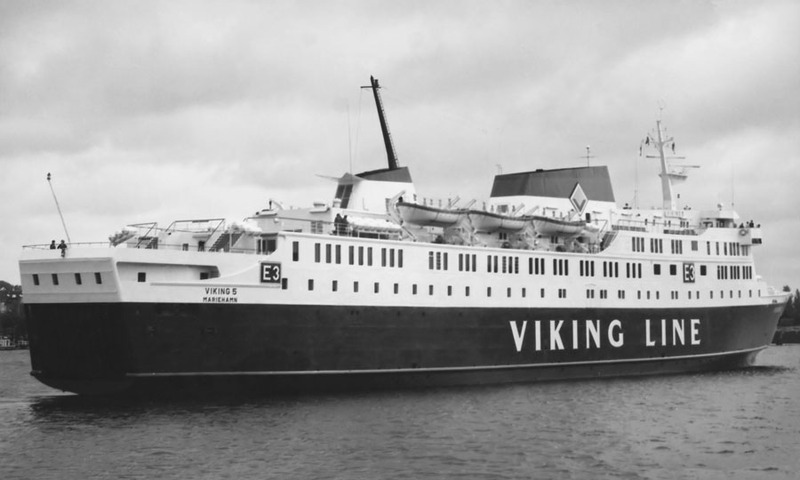 June 10th 1981: Renamed THE VIKING. 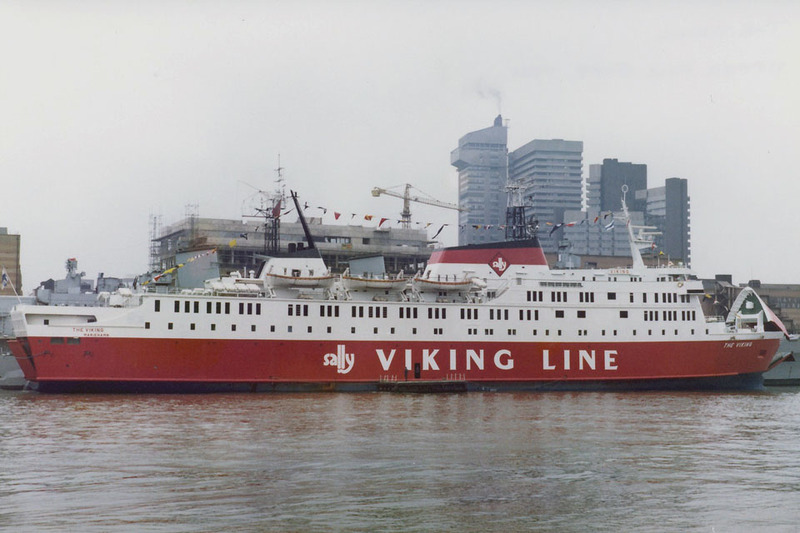 1981: Operations were marketed under the “Sally , the Viking Line”, a small “Sally” monogram being added to the large white letters “Viking Line” on the vessels red hull. 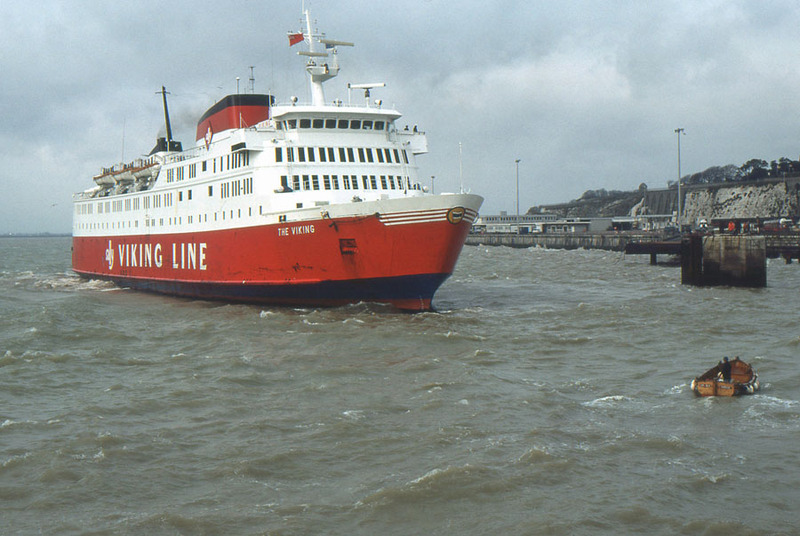 June 15th 1981: Commenced service for Rederi Ab Sally’s new route between Ramsgate – Dunkerque. August 21st 1981: Suffered an engine-room explosion on passage from Dunkerque, After continuing on to Ramsgate to discharge passengers the ship limped back to Dunkerque, on one engine, for repairs. The service had to be suspended for three days while to company sought a replacement. September 1981: Damage to the engine was much more severe than originally thought. The ship returned to Finland for more extensive work to be carried out and while deliberations were taking place she was used as a floating police barracks. May 1st 1982: Not quite ready to resume the new season which was due to start but unfortunately striking French dockers closed the port of Dunkerque and the service did not start until the following day. May 20th 1982: Repairs were finally completed and she returned to service between Ramsgate – Dunkerque, but suffered a breakdown the following week. September 1982: Overhaul and tuning of her new engines at Rickmers Werft, Bremerhaven, Germany. April 12th 1983: Last service for Sally. Returned to Finland. April 28th 1983: Services for Vaasanlaivat between Vasa – Umeå/Sundsvall. 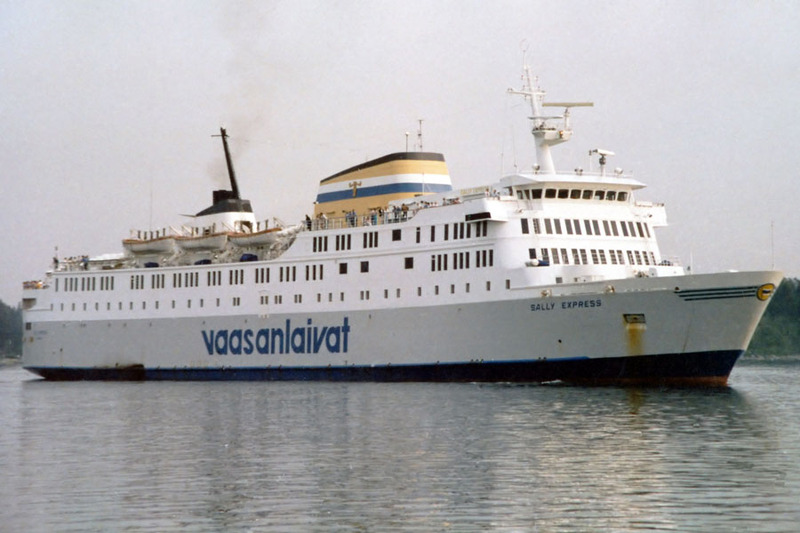 May 5th 1983: In Mariehamn renamed SALLY EXPRESS. February 10th 1984: Sold to Fred Olsen & Co, Kristiansand, Norway. 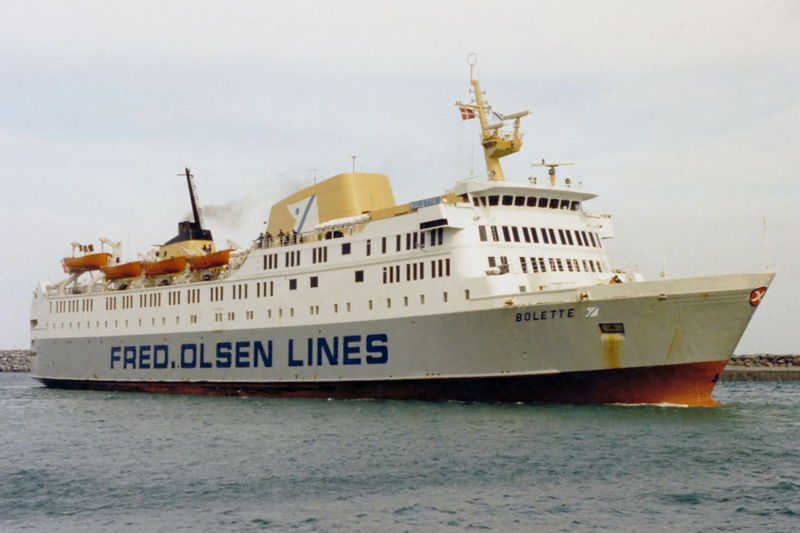 March 15th 1984: Arrived in Kristiansand, Norway for handover and renamed BOLETTE. 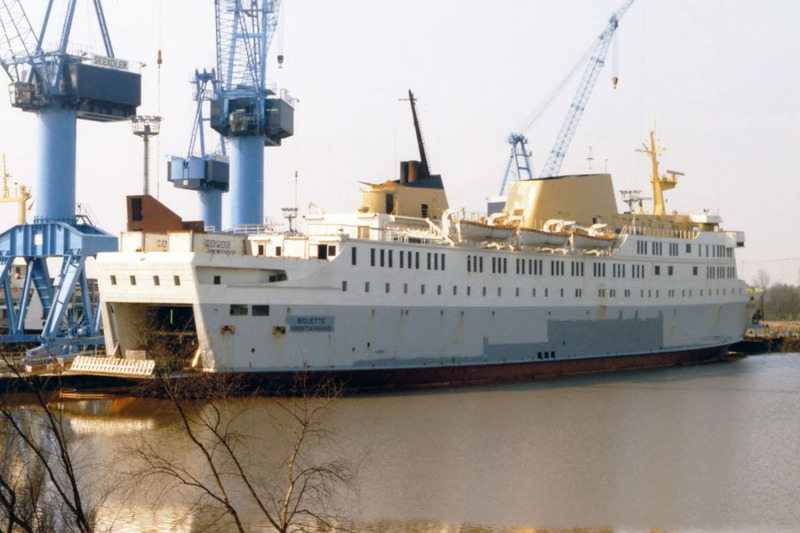 March 23rd 1984: Left Kristiansand for Jos L Meyer, Werft Papenburg-Ems, Germany and rebuild. May 29th 1984: Arrived in Kristiansand. 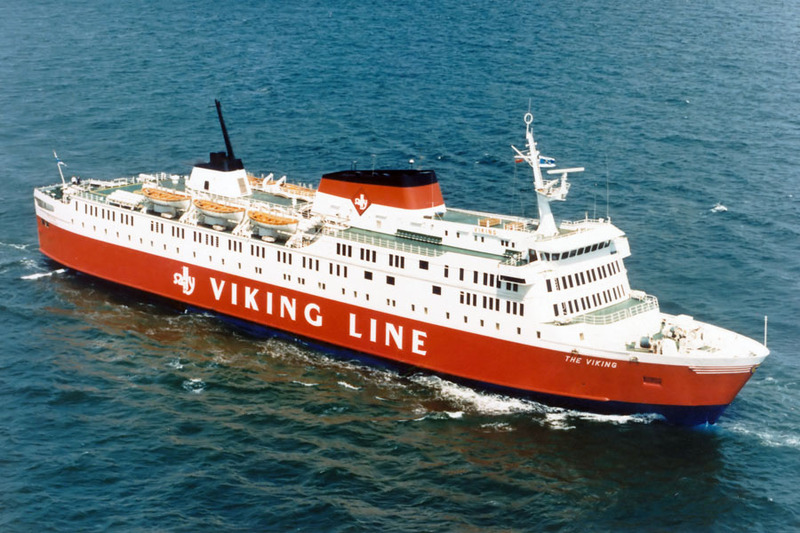 Commenced service between Kristiansand – Hirtshals/Hanstholm. 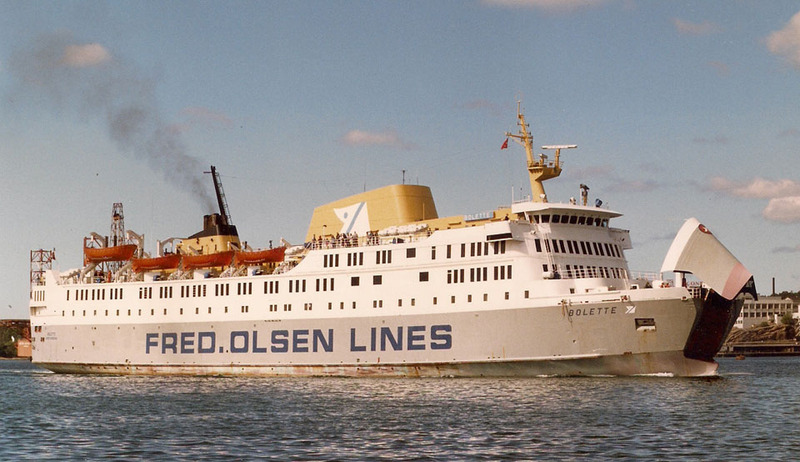 June 1984: Service between Hanstholm – Kristiansand/Egersund. September 1984: Laid up in Kristiansand. 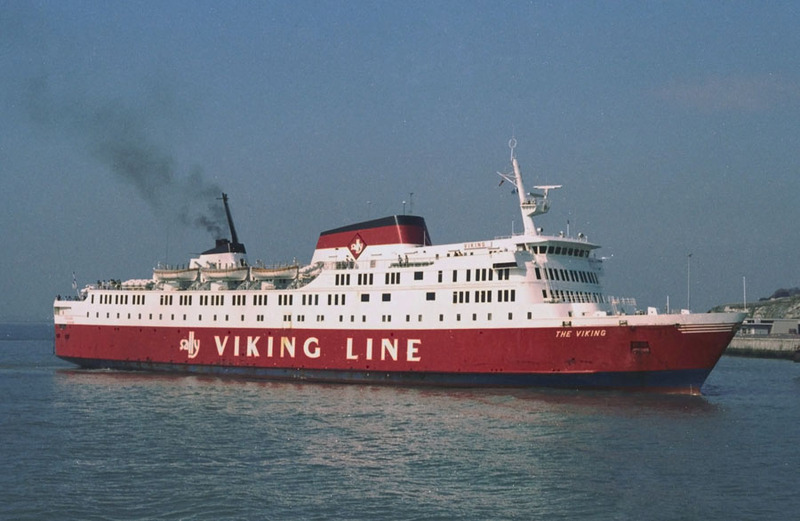 April 3rd 1985 – October 22nd 1985: Services between Kristiansand – Hirtshals/Hanstholm/Egernsund. 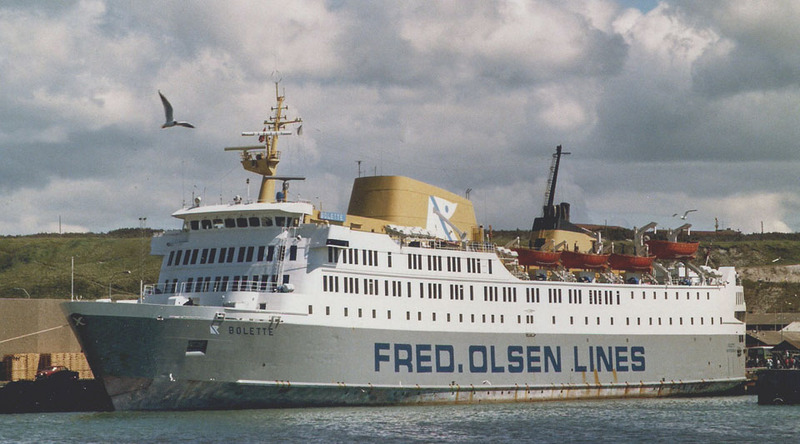 October 23rd 1985 – January 8th 1986: Laid up as a hotel ship in Ålborg. January 10th 1986 – March 3rd 1986: Service between Gedser – Travemunde. March 8th 1986: Hotel ship in Ålborg. 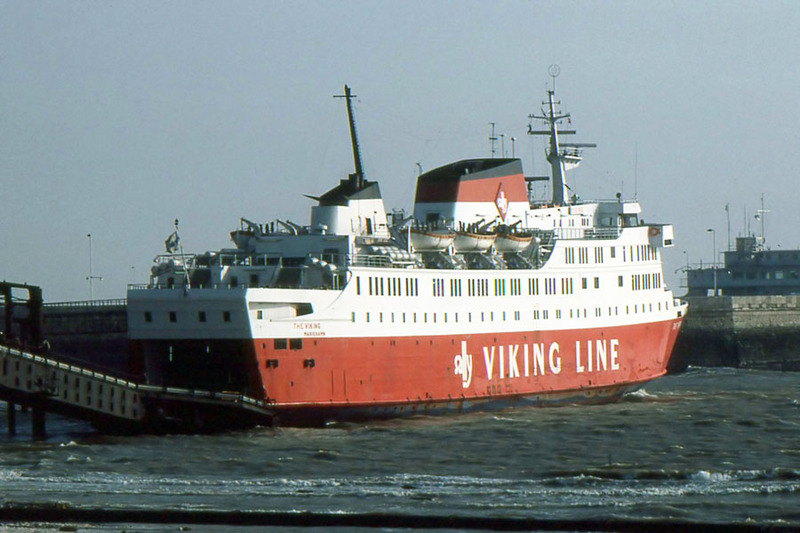 March 21st 1986 – March 29th 1986: Services between Kristiansund – Hirtshals. 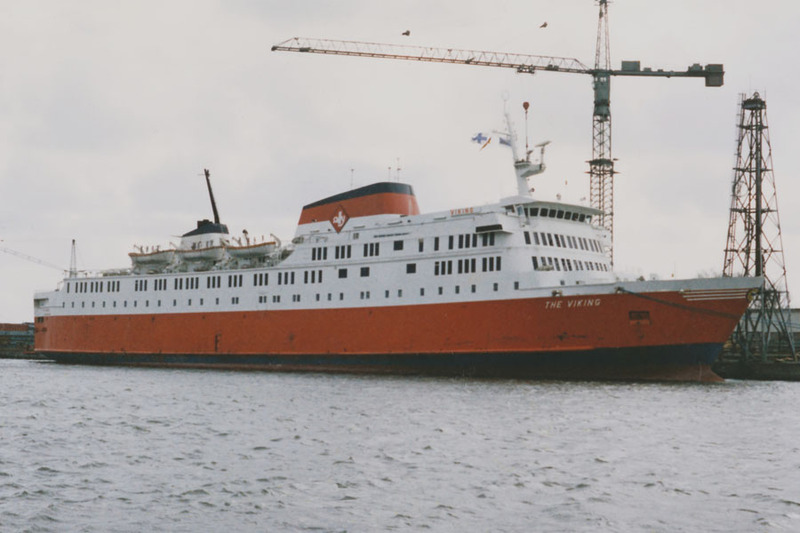 April 1st 1986 – June 1st 1986: Hotel ship in Ålborg. 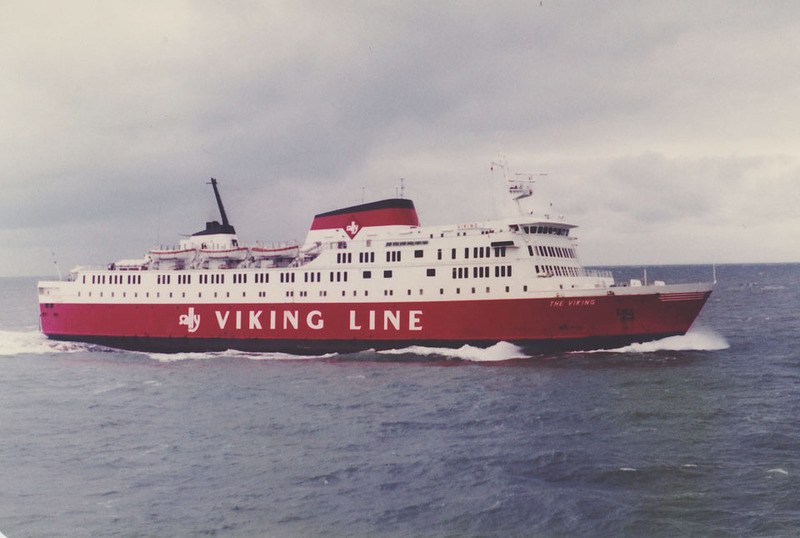 June 11th 1986 – September 30th 1986: Services between Kristiansund – Hirtshals/Egernsund. September 30th 1986: Laid up. February 22nd 1987 – April 6th 1987: Chartered to NOBIL Norsk Bilomsetning as a floating car dealership along the Norwegian coast. 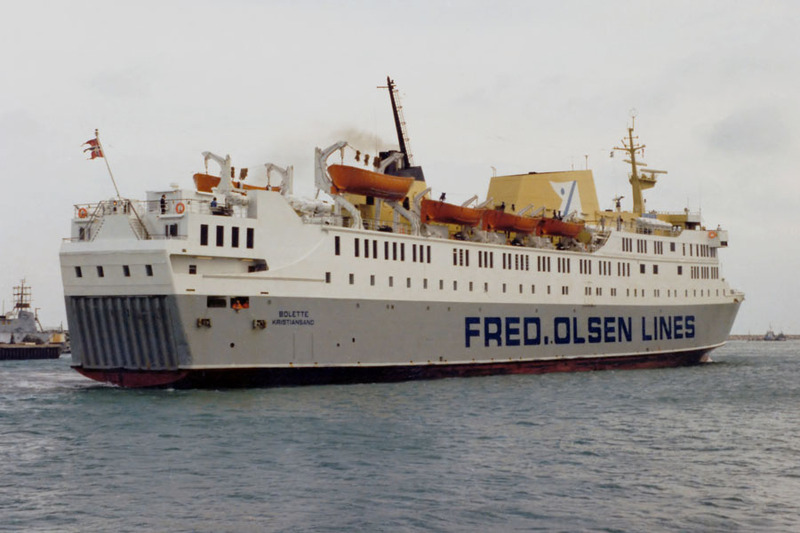 June 1987 – September 1987: Services between Kristiansund – Hirtshals/Egernsund. October 7th 1987 – October 11th 1987: Used in Reykjavik for a summit meeting ship between Presidents Reagan and Gorbachev. October 1987: Laid up in Kristiansund. 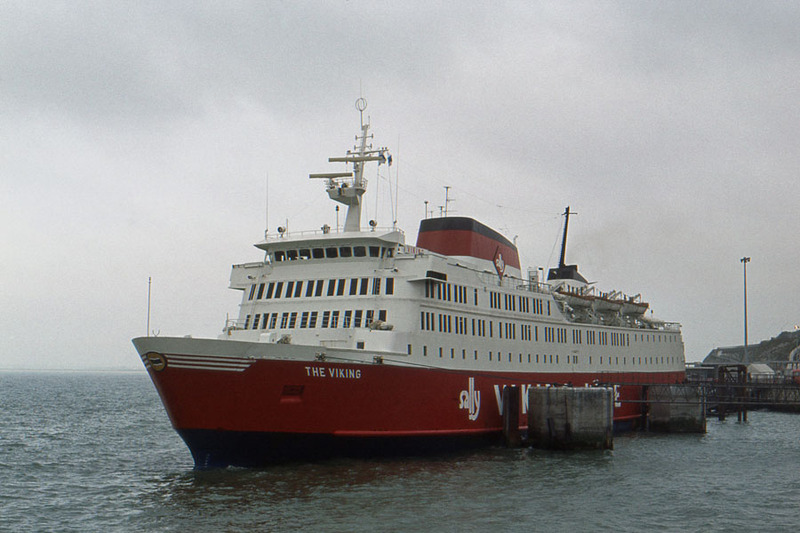 May 22nd 1988: Chartered to Isle of Man Steam Packet Co and used between Holyhead- Belfast – Douglas. May 25th 1988: Arrived in Douglas. May 27th 1988 – May 29th 1988: Sailed from Douglas to Liverpool. May 29th 1988: Excursion around the Isle of Man. June 5th 1988 -June 10th 1988: Hotel ship in Douglas. June 12th 1988 – August 23rd 1988: Used in the Skagerrak. 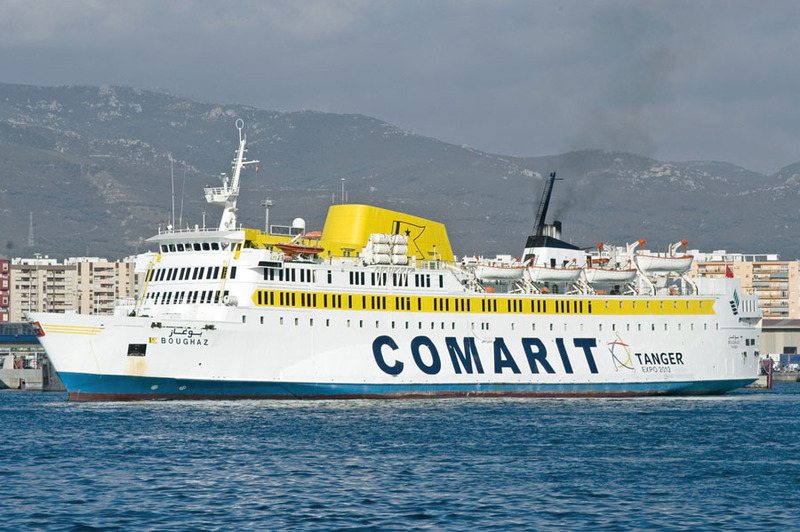 August 1988: Sold to Fred Olsen subsidiary Compagnie Morocco Norvegienne (Comarit), Tangier. August 28th 1988 – August 30th 1988: Chartered to “Vennskapsskipet Norge-Poland” for a journey from Oslo – Swinoujscie. 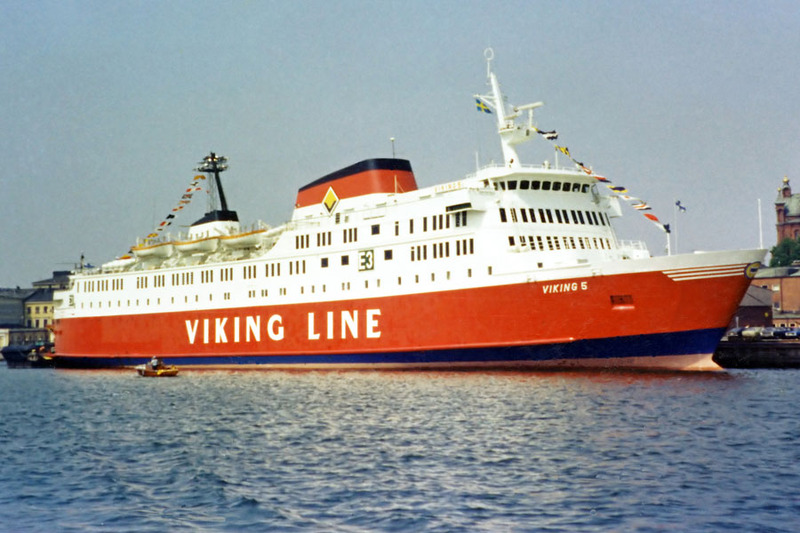 August 31st 1988 – October 29th 1988: Chartered to Larvik Line for services between Larvik – Frederikshavn. October 29th 1988: Laid up in Kristiansand. 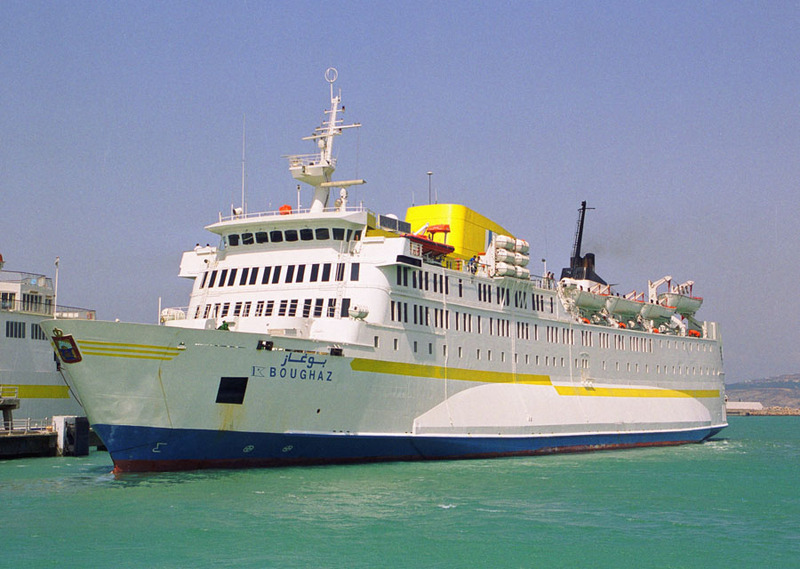 November 15th 1988: Handed over to her new owners and renamed BOUGHAZ. 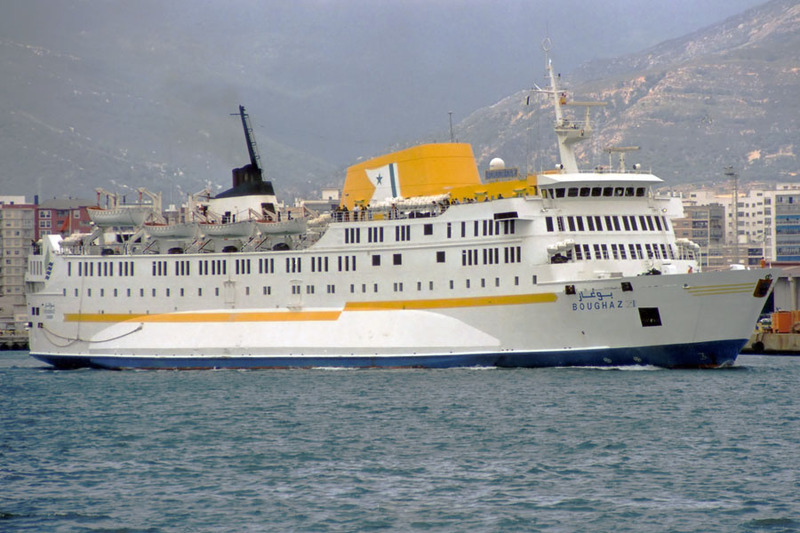 November 30th 1988: Services between Tangiers – Algeciras. 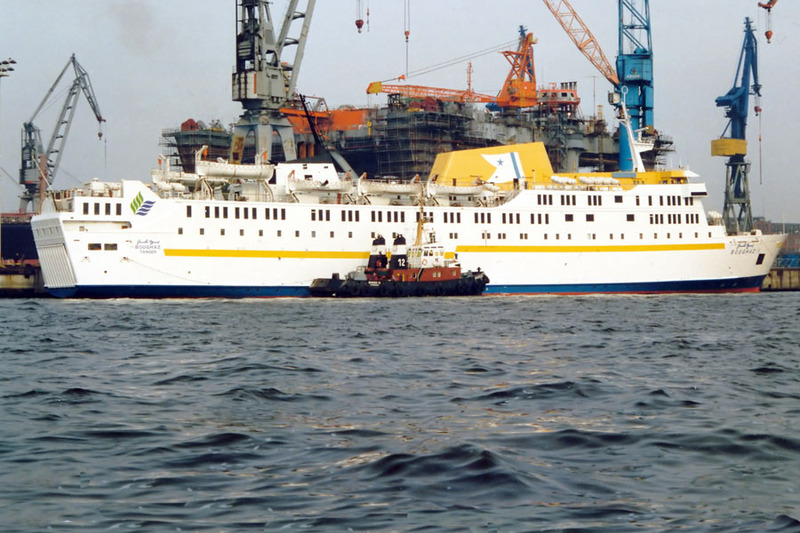 September 1994 – November 2nd 1994: Rebuilt at Lloyds – Werft, Bremerhaven with modernised passenger accommodation and “side sponsons”. 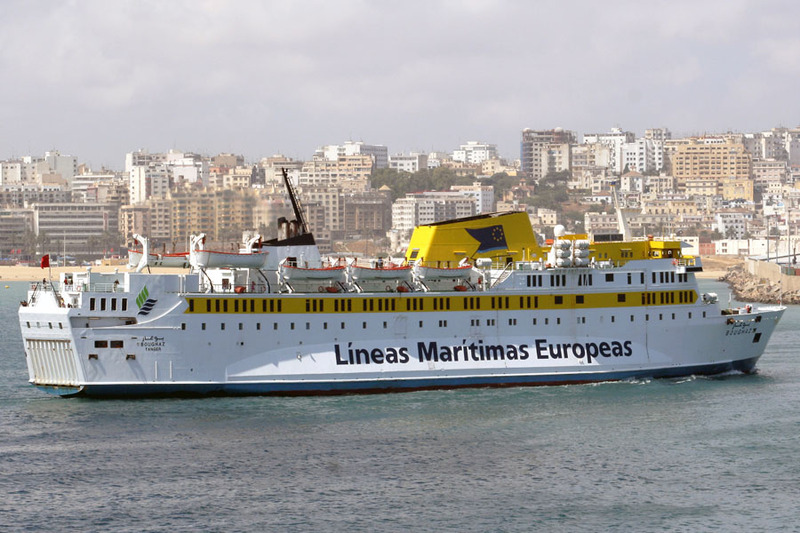 November 1994: Back in service between Tangiers – Algeciras. July 2000: Chartered to European Maritime Lines (Cia. Trasmediterranea). 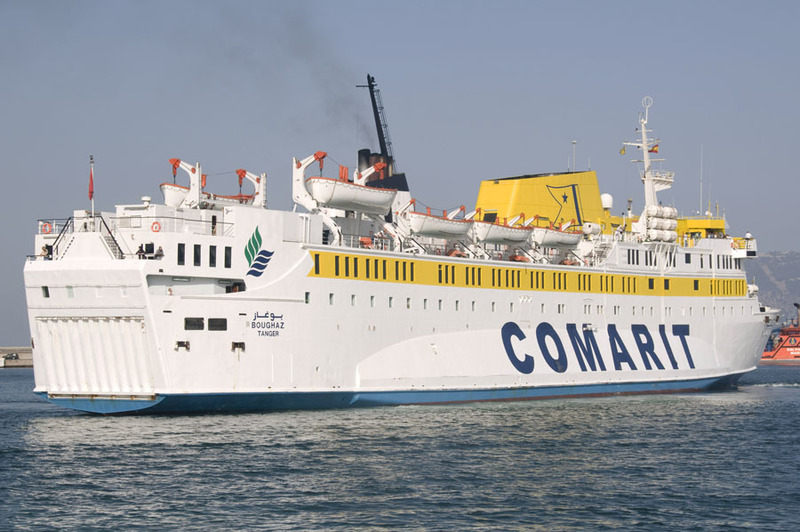 Introduced between Tangiers – Algeciras. October 22nd 2001: Arrived in Barcelona for refit. 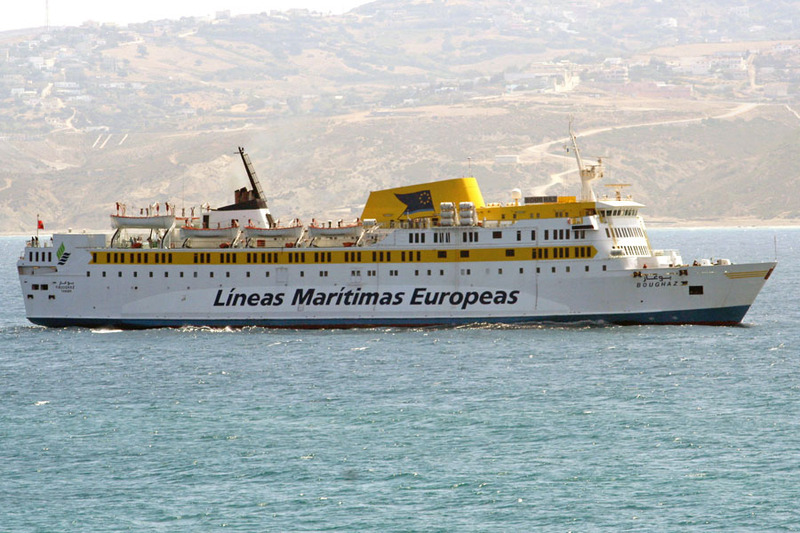 May 2003 – September 2003: Chartered to Lineas Maritimas Europeas. 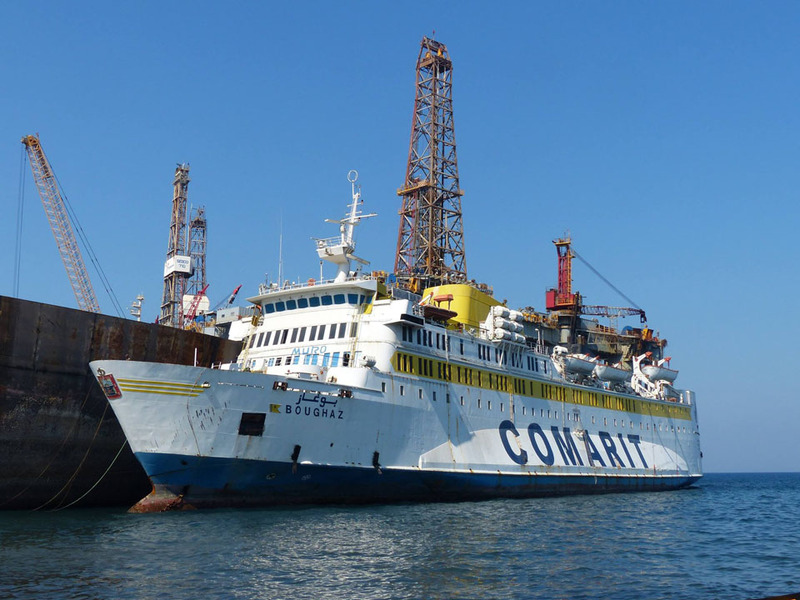 Registered owner; Comarit, Morocco manager; Fred Olsen Marine Services. 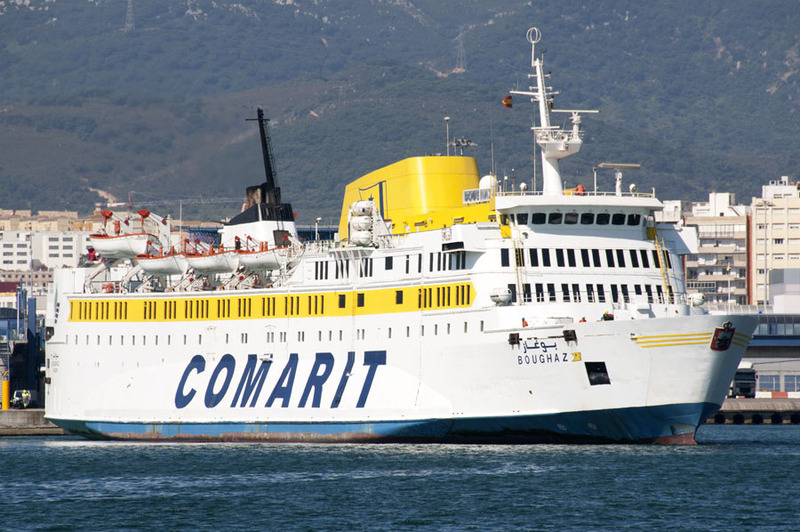 2006: Services for Comarit between Algeciras – Tangiers. June 2015: Sold at auction. July 30th 2015: Towed by tug KUNDUZ from Algeciras to Aliaga. August 15th 2015: Arrived at Aliaga for breaking. All information is believed to be correct and no responsibility is accepted for any errors or omissions. All items included in this article are subject to © copyright. We would like to take this opportunity of thanking: Carsten Dettmer, Tony Garner, Frank Heine, Pieter Inpyn, Tapio Karvonen, Ken Larwood, Frank Lose, Christoph Podlucky, Selim San, Jurgen Stein and Andreas Wörteler for their assistance in producing this feature.